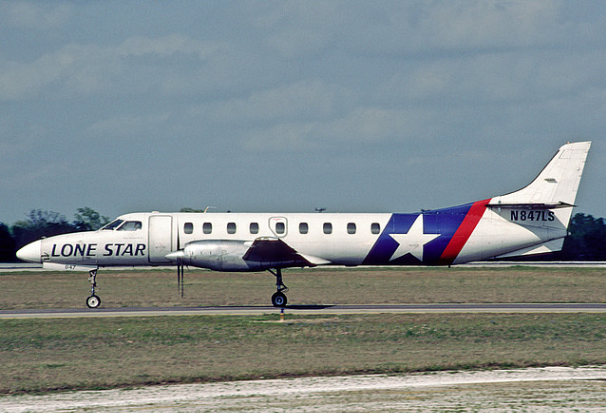 Lone Star Airlines was an American regional airline that operated both domestic and international flights. For much of the airline's life its headquarters were located in the Fort Worth Stockyards in Fort Worth, Texas. The airline's largest hub was located at Dallas-Fort Worth International Airport. Lone Star was founded in 1984 in Stillwater, Oklahoma as Exec Express Inc. by Philip Trenary (later President of Pinnacle Airlines), the company moved its headquarters to Fort Worth, Texas in 1987. Exec Express Inc. operating as Exec Express Commuter Airlines later became Exec Express II Inc. and eventually operated under the d/b/a's of Lone Star Airlines and Aspen Mountain Air. In order to have both names on the same ticket stock a third d/b/a was created "Aspen Mountain Air/Lone Star Airlines" The airline became an American Airlines (AMR Corporation) and Frontier Airlines code sharing partner. 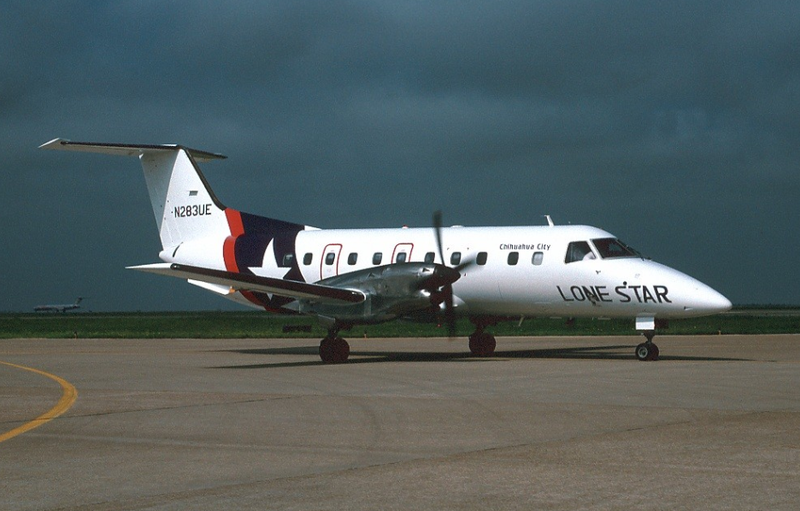 In 1996 Professional Pilot magazine selected Lone Star Airlines to receive the Regional Airline Teamwork Award. By 1997 the airline was serving 21 cities in 8 states Arkansas, Colorado, Florida, Missouri, Montana, New Mexico, Tennessee, and Texas. International non-stop service to Mexico was provided from DFW International Airport. Federal EAS subsidies approximated 20% of total revenues in 1996. Total revenues were projected to exceed $24 million in 1997. 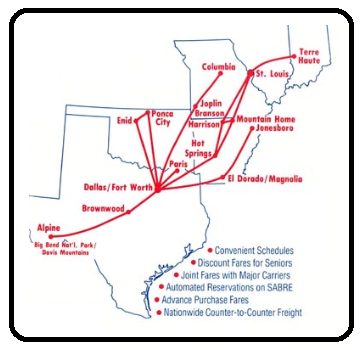 Exec Express primarily operated federally subsidized EAS (Essential Air Service) routes feeding DFW from Arkansas, Oklahoma and Texas. For a brief period in 1987 & 1988 the company provided direct service to Houston, San Antonio and Austin (TX) from a hub at Fort Worth Meacham International Airport. Exec Express II greatly expanded the number of routes, adding operations in Indiana, Louisiana and Missouri with new EAS destinations as well as unsubsidized destinations such as Alpine and Nacogdoches, Texas; Natchez, Louisiana; and Joplin, Missouri. A major maintenance base was established in Hot Springs, Ar. and the company began operating under the d/b/a Lone Star Airlines. With the addition of the high speed Dornier 328 aircraft in 1994, the company was able to operate long range (over 600 miles) non stop flights from DFW to locations in Mexico, Colorado, Tennessee, and Florida. With the interest and assistance of investors in Mexico, the airline began preparations for service to several destinations in Mexico and ordered the Dornier 328 to service these routes as well as some of its domestic routes. The peso was devalued shortly after operations commenced. Demand for service to Saltillo and Hermosillo was weak and service was discontinued shortly after it began. Torreón and Chihuahua City were more successful. The airline decided to add service to Knoxville, Tennessee and Aspen, Colorado. Scheduled airline operations into Aspen, require special authorization from the FAA. Following extensive coordination and assistance from Daimler Benz / Dornier, Honeywell Avionics, Aspen city and airport authorities, aeronautical engineers, the FAA and others; qualifications, procedures and training were established; special operating authority was granted and direct service between DFW and Aspen commenced. Having demonstrated its ability to successfully service the Aspen community, the airline was acquired by Peak International, an aviation group out of Aspen, Colorado. funded largely by Skico and the Crown family. Colorado service then began operating under the d/b/a of Aspen Mountain Air (AMA) and the focus of Aspen service was changed from Dallas / Aspen to Denver / Aspen in direct competition with United Airlines. By late 1997, the airline was expanding rapidly; adding additional aircraft and destinations. New destinations included, Pensacola, Fl; Bozeman, MT and Sante Fe, New Mexico. The headquarters were relocated from the Fort Worth Stockyards to Grand Prairie, Texas.